Cathedral Three-Stone Diamond Engagement Ring | Shane Co. This sophisticated cathedral engagement ring features 12 round diamonds, at approximately .17 carat total weight. The hand-matched gems are set in quality 14 karat yellow gold. 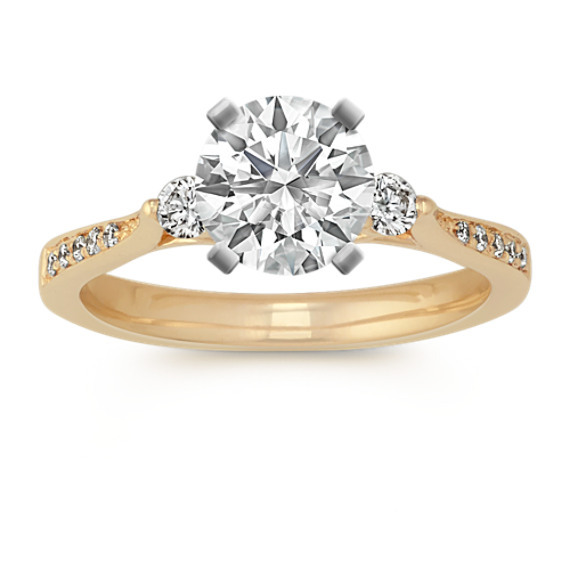 Add the center diamond of your choice to complete this stunning piece.